Create your own Pet Evacuation Toolkit in case of natural disasters. Veterans Store Location – Now Open! Visit our brand new location in Metairie right next door to Trader Joe’s! Find your local Jefferson Feed in New Orleans or Baton Rouge. Click on the map to view all locations or the button below to see store hours, addresses, and contact details. We specialize in natural and organic pet supplies for your friends, great and small. Jefferson Feed Rewards Program – Sign up in-store then register your Jefferson Feed Rewards account online to check your rewards balance. We cater to discerning pet owners with a range of high quality products. We do! Visit our Garden Center at our Jefferson Hwy location. 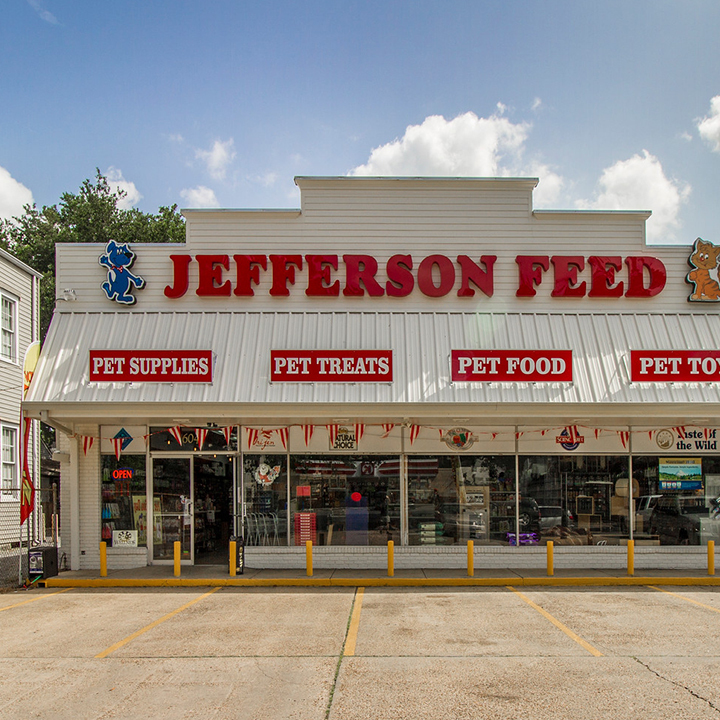 Jefferson Feed is locally owned and is the best place in the entire Greater New Orleans area for pet food, toys, supplies, garden supplies, and plants. Everyone there is helpful and extremely knowledgeable. Jefferson Feed and its employees contribute in numerous ways to the community. I’ve shopped there most of my life, and I have never had anything but a pleasant experience. David personally assisted me with my purchases, and answered my questions, as well as offered suggestions. Great shopping experience! Love this place we have been going here for years. Great selection of high quality dog and cat foods. Great choices of products to sell and a very helpful and friendly people. and they are happy to answer any questions I have…and I always have a lot. Have been doing business with Jefferson Feed for 35 plus years and Lynn makes you feel like family from the first time you visit. I have watched them grow and yet never lost that personal feel or costumer service! I hope to be shopping there for another 35 years! Jefferson Feed is the best place to go for pets, and supplies. Each and every employee we came across was so friendly and helpful. The employees know their products and are interested in helping you. Knowledgeable staff, clean environment for the animals and plants and all great supplies to choose from! Donna was very helpful with my questions and concerns and I didn’t feel rushed or ignored by any of the employees there! Thank you so much, I’ll be back! The pet food and supply selections are hard to beat, as well as the healthy assortment of seasonal plants and pottery. My most favorite thing: Jefferson Feed offers compassion with generous space to assist with adoptions for homeless dogs, cats, rabbits, ferrets. Jefferson Feed has been my favorite source for pet and garden supplies since 1983. The staff is super-friendly, knowledgable and helpful with answers to many levels of questions. You can’t go wrong with our diverse selection of high-quality cat food and care products. We have everything you need to take your yard to the next level. At Jefferson Feed, we know that we’re more than just a pet and garden center to our customers. We’re a purveyor of high-quality, all-natural and organic pet supplies, but we’re also a knowledge and resource hub for animal lovers and advocates. All of our team members are highly knowledgeable in pet health and care, and we pride ourselves on being able help anyone who walks through our doors. 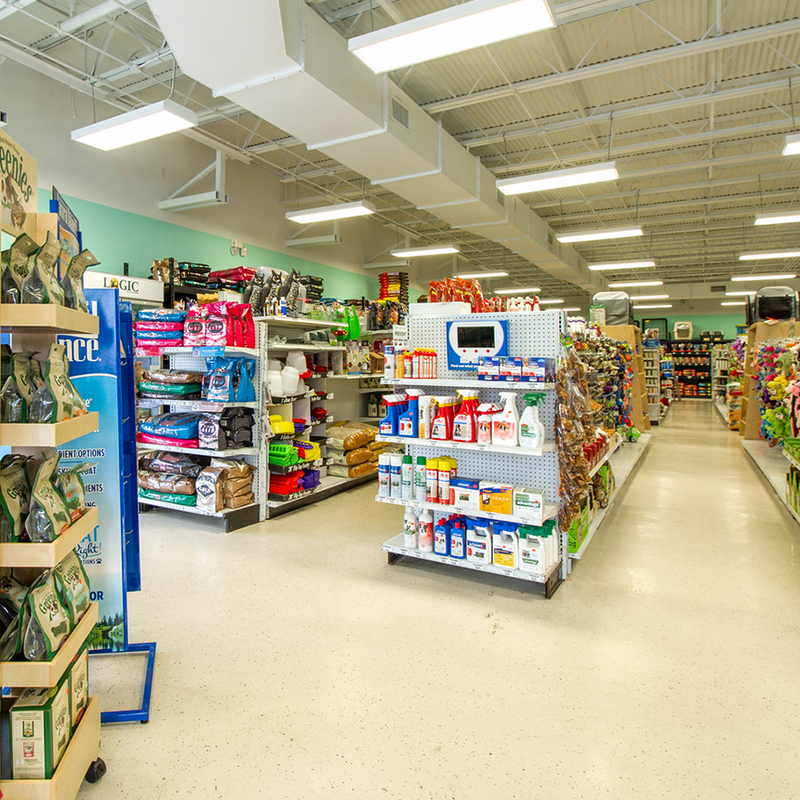 With five locations in the New Orleans and Baton Rouge areas to serve you–and a vast selection of plants and plant products within reach–we are the one-stop shop for the discerning pet and plant owner who appreciates a level of customer care not available at the big retail chains. We’re a family-owned business that has helped generations of families to keep their pets healthy and happy, and their gardens beautiful. We love to share photos and videos of our customers and their pets on social media. To get more cute animal portraits in your feeds–and to receive helpful pet and plant care tips–follow us and we’ll follow you back!